Bounce around town as a human billboard with the Bahama Mamas Tee, unlockable all week long. Just by logging in, you'll get the party started right with this shirt. 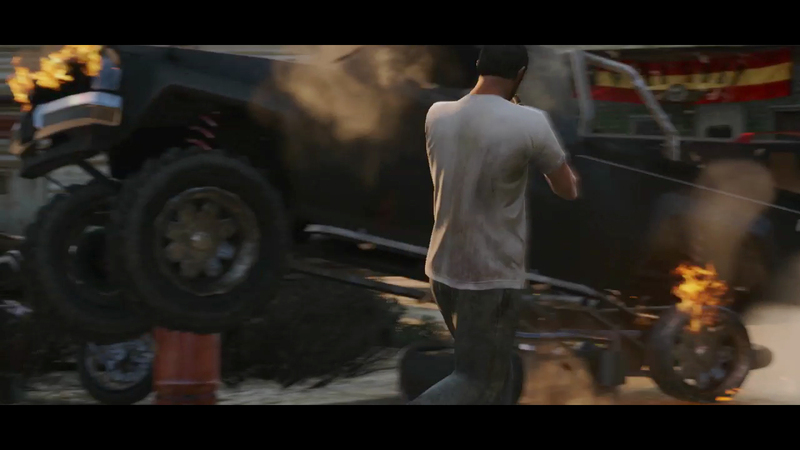 ​PREMIUM STUNT RACE: "TRENCH II"
This week's featured Premium Stunt Race is Trench II. Set to Muscle, ride the highs and lows of this Grand Senora Desert-based track all week and earn Triple RP just for giving it a whirl. Better yet, the top three podium finishers earn GTA$100,000, GTA$30,000 and GTA$20,000 respectively. Use the Quick Job App on your in-game phone or enter the yellow Premium Race blip at Legion Square and get racing. Isn't there supposed to be a a Shark card promo aswell? I still didn't get my money. 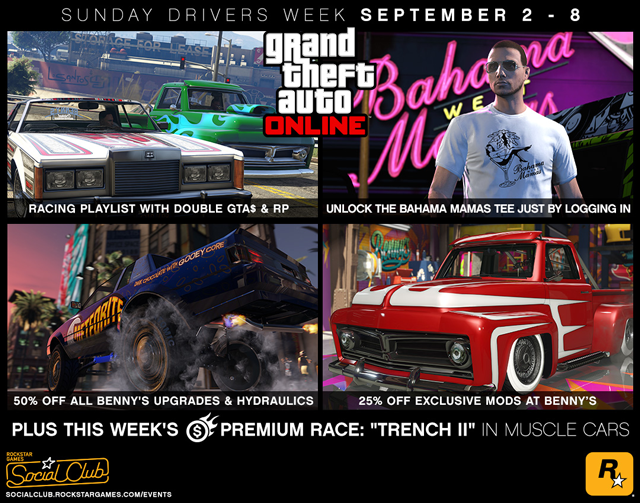 GTA Online Sunday Drivers Week - This week's deals in new-gen GTA Online feature discounts at Benny's among the usual bonuses.